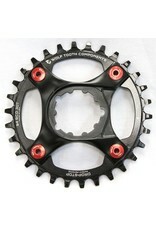 Looking for a SRAM XO1, X1, GX, and NX chainring with the proven chain retention of our patented Drop-Stop® chainrings? 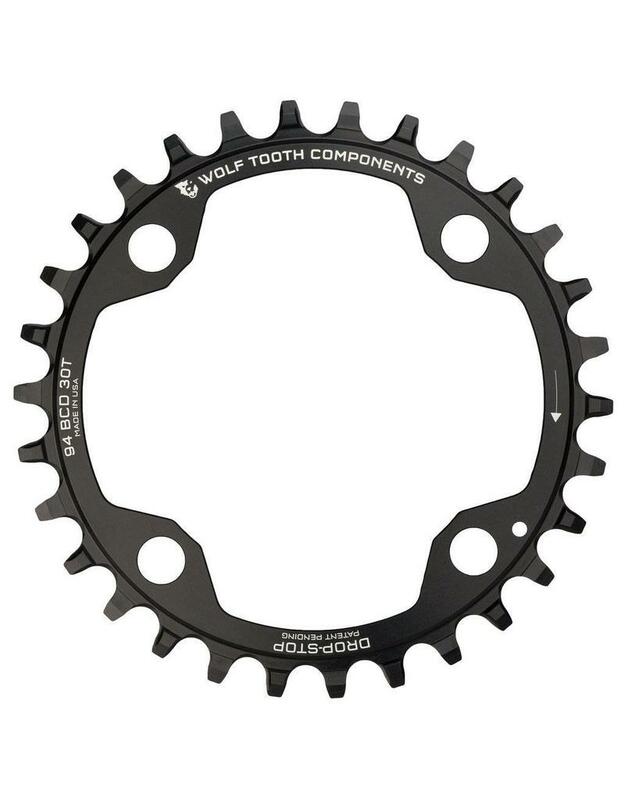 Wolf Tooth has what you need in these beautifully machined 94 BCD bolt-on chainrings. 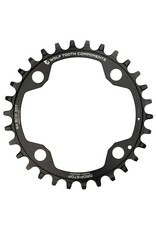 These rings fit any SRAM crankset with a 94 BCD. Here is how to measure your BCD. Note that we also offer SRAM Direct Mount chainrings for Standardand BB30 Short Spindle cranksets and some Stainless Steel versions of those. 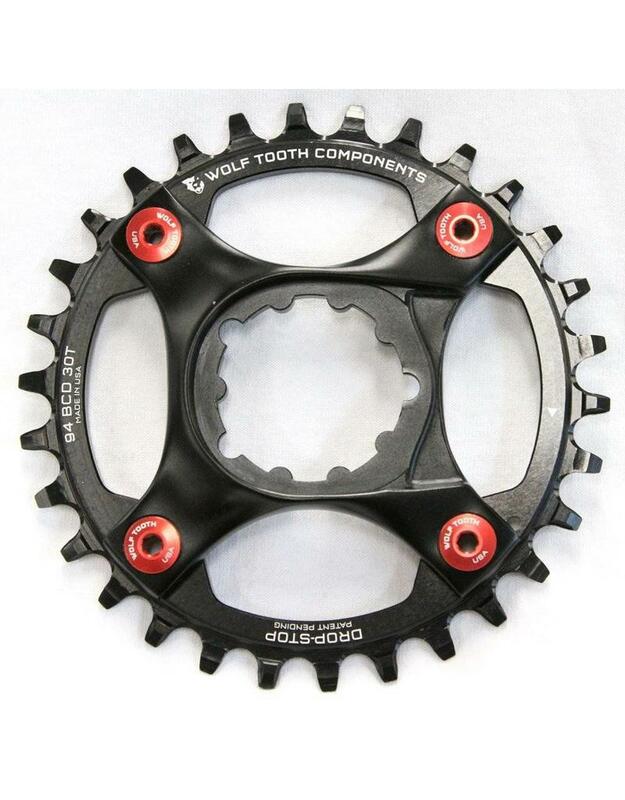 Provide a great chainline on most boost bikes. See this explanation for details. Our colorful 6mm bolts are optimized for 1x chainring mounting.